Eyasco is a system integration company specializing in remote monitoring, telemetry, and enterprise information systems to deliver information seamlessly in mission-critical situations. Eyasco has designed and deployed many data-acquisition and control systems in civil infrastructure and the drinking water industry. 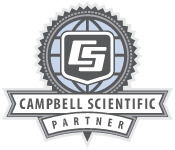 These include dam and slope monitoring, security, water quality, distribution, and delivery systems that utilize Campbell Scientific hardware.